About - Damn It, Monkey! About - Damn It, Monkey! You know, people get to this point about talking about their own work, and basically, sometimes I’d really just rather shut up and draw. That being said, Damn It, Monkey follows the story of Monkey, a super intelligent Monkey from space who has a penchant for blowing things up, and never on purpose, seemingly. Clever and inventive, his mishaps with the Stevens family (Stacy, Rob, Squirt, Mom and Dad) cause a fair amount of mischief and wacky situations. Even without the presence of a wacky neighbor. And who knows who may drop in on the Stevens from time to time? 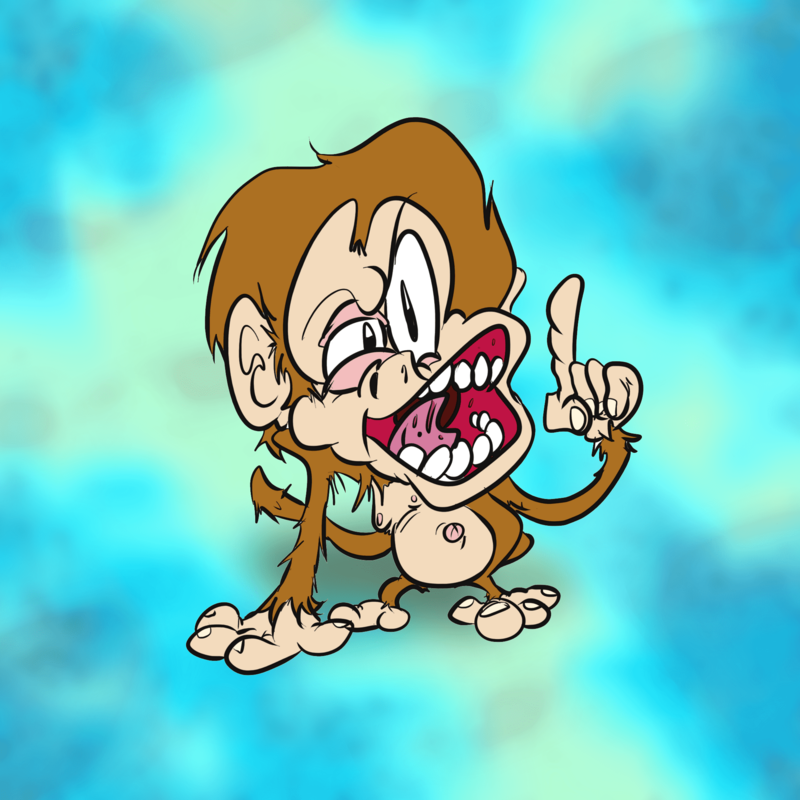 Damn It, Monkey was originally conceived long, long ago in high school. Originally toyed with in my dad’s basement, with a monkey puppet, it never really saw the light of day at first as it was intended to be nothing more than a sitcom, and being a teenager in (at the time) the Midwest, it’s not easy to find someone to pitch a sitcom to, (let alone a camera) especially one starring a puppet – a puppet I actually still have. It’s taken several forms over the years, all comics since its initial inception, and I think this is the best way to approach it at this point. I ended it last time as it was presented as a serial, and let’s face it, it should be episodic to work with its tropes. Once a sitcom, now a parody of sitcoms. I guess. Damn It, Monkey! is drawn by atom8bit. Check out his other stuff because you care. You care right? …Whatever. Make an effort, man.